Our therapeutic traction products are designed to provide exceptional results in the clinic or at home. Clinical traction packages from Current Therapeutics provide everything a therapy center needs including traction unit, table, Saunders cervical traction system, belt set and flexion stool. 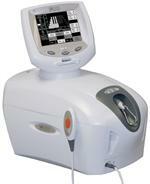 In addition to clinical traction equipment, e-current.com offers home traction products from Saunders. The Saunders Cervical Hometrac features an innovative design that replicates clinical traction and is both effective and easy to use. For high quality lumbar traction treatments at home, try the Saunders Lumbar Hometrac. The Hometrac units have proven to be an alternative to surgery for some patients. Looking for traction products? 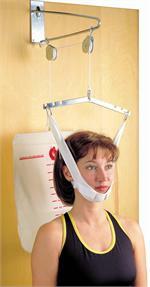 Lumbar and cervical traction equipment from e-current.com can help provide relief and restore function. We look forward to assisting you with your traction therapy needs.